Contact us for any assistance you might need with the website, our products - well - anything really. In most cases we are able to reply to you within the same working day. 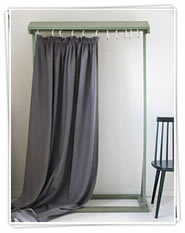 Ada & Ina is a company of repute engaged in wholesale and retail supply of linen fabrics in the UK. As fabric supplier, we source items from the best European factories. For prices and other details, you can call us or drop a mail. Our staff will provide you with all assistance.